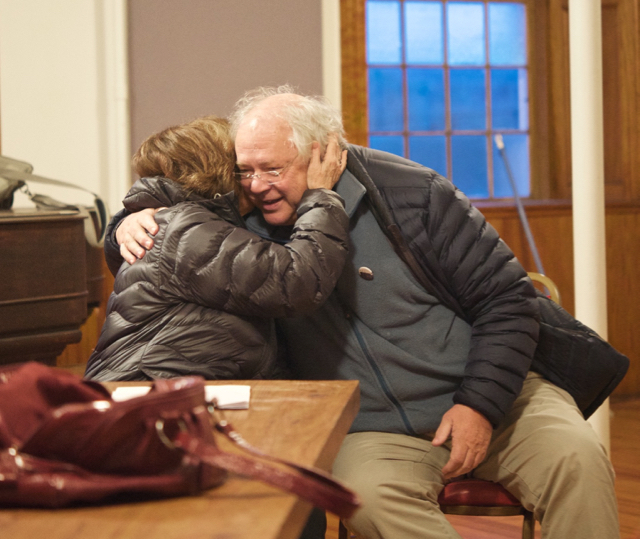 POULTNEY — The lively, impromptu piano duet played Wednesday evening in the old stone church on East Main Street in Poultney was just a glimpse of what the future may hold for the building. Formerly the Fox Hill Center for the Arts, the building was donated to the Preservation Trust of Vermont by sisters Rita Fuchsberg and Irene Minkoff. 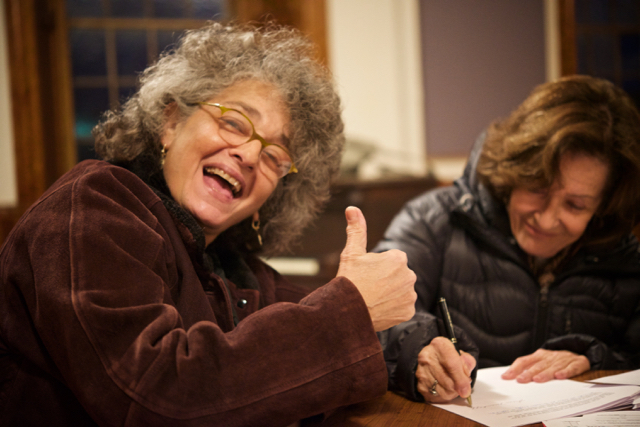 Representatives from the Preservation Trust of Vermont and Stone Valley Arts gathered with the sisters at the building to sign papers finalizing the donation. “This is a great gift,” said Paul Bruhn, executive director of the trust. He said the Trust will be a transitional owner and work with the arts organization it wants to take over the building. “Our hope and idea is that Stone Valley Arts will be given some time to really plan and think about if it’s a project they want to take on,” Bruhn said. The nonprofit arts group began in 2013 and was housed on the third floor of the Journal Press building until early November. The first floor of the building offers a large hall with wood floors and a full kitchen. In the upper level, a large window looks out onto the high school. Walking through the two-story building, Schmidt spoke about the wealth of artists in the area. “The possibilities are immense,” she said envisioning concerts, gallery shows, art classes and receptions in the space. 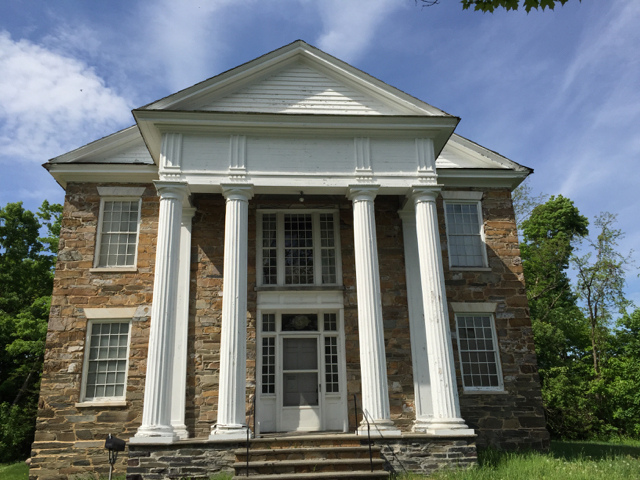 The stone building, constructed in 1820, originally housed a church before it was turned into a Masonic Temple. Minkoff told the nearly two dozen people gathered for Wednesday’s event that the sisters, along with Michael Castagnaro, Minkoff’s late husband, each had ideas of what the building could be when they bought it in 2007. Minkoff said her husband saw it with a craftsman’s eye, Fuchsberg saw potential for a gallery and she herself saw it as a safe haven for at-risk school children. 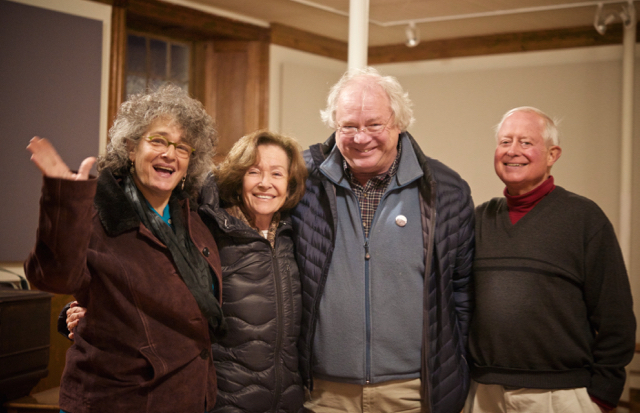 Fox Hill, which is what “Fuchsberg” means in German, hosted a variety of events including a reading of “A Christmas Carol” by Charles Dickens, an exhibit with works by Ruth Hamilton and Marc Awodey and a mask exhibit. Shortly after Fox Hill opened, Castagnaro died. She said she had just retired and was planning to come to Poultney from New York City frequently to work at the center. “Then Michael died, and I wasn’t able to do it any more,” she said. Fuchsberg stayed in Poultney and hired two employees to work at Fox Hill. She said it was hard to pinpoint when exactly it became too much. The morning after the donation Wednesday night was made official, Fuchsberg said she woke up feeling different, happy. The sisters had received offers to purchase the building but said it had such a prominence in town that it should remain a public space. 11/20/15. Good afternoon and thank you, Paul, for giving me the opportunity to say a few words on this special occasion. In doing some research to write this speech I discovered that according to the Poultney Historical Society's archives, this building being gifted today by my sister and me is what tipped the scales in an East/West Poultney tug-of-war. East Poultney said that the Post Office should be located in the East where most of the churches already were but West Poultney countered by hauling limestone by oxcart, at great expense, to build this amazing building, completed in 1822. Such a grand stone church tipped the balance and the Post Office was built on the west side and effectively made this the center of town and that's why West Poultney is now simply called Poultney. When Michael, Rita, and I first looked at the building at 145 Main Street, then known as the Masonic Temple, we each saw it from a different perspective. 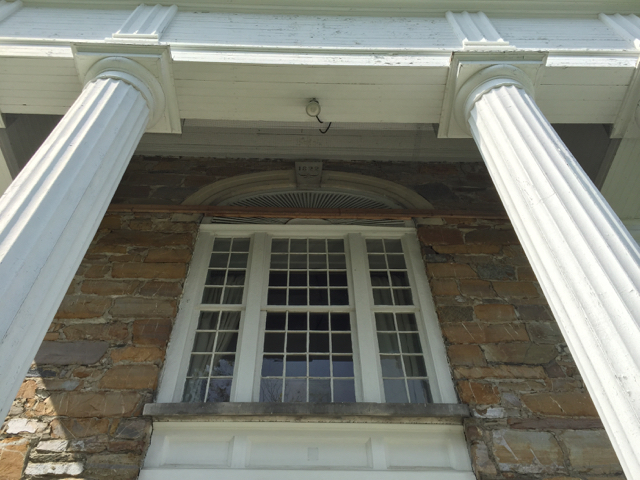 Michael, a skilled craftsman, saw a beautiful, impressive building in need of repairs, which he, given enough time, could restore to its former glory. My sister, a gifted painter who lives in East Poultney, envisioned an art gallery. And I, having practiced social work for the underprivileged, envisioned a safe haven for at risk school-aged children and their parents which drew upon drama, music, art, dance, social skills development, and teacher trainings. The three of us shared a constant stream of dreams and ideas as we debated the idea of purchasing the building. We all knew what a wonderful opportunity this was and we also knew that it would be a challenge. Finally, we decided to make an offer to the Masons, hoping that they would accept our bid and not the offer that would make the building a private home. The Masons accepted our bid because they felt we shared their values – the community as opposed to private ownership should benefit from the space. In the limited time we had to work on our shared goals many physical improvements were made on the building. Art classes were held, exhibits took place, dramatic works were presented. That was then. You all know the saying “The best laid plans of mice and men…” as well as the Yiddish proverb: Man plans, God laughs. 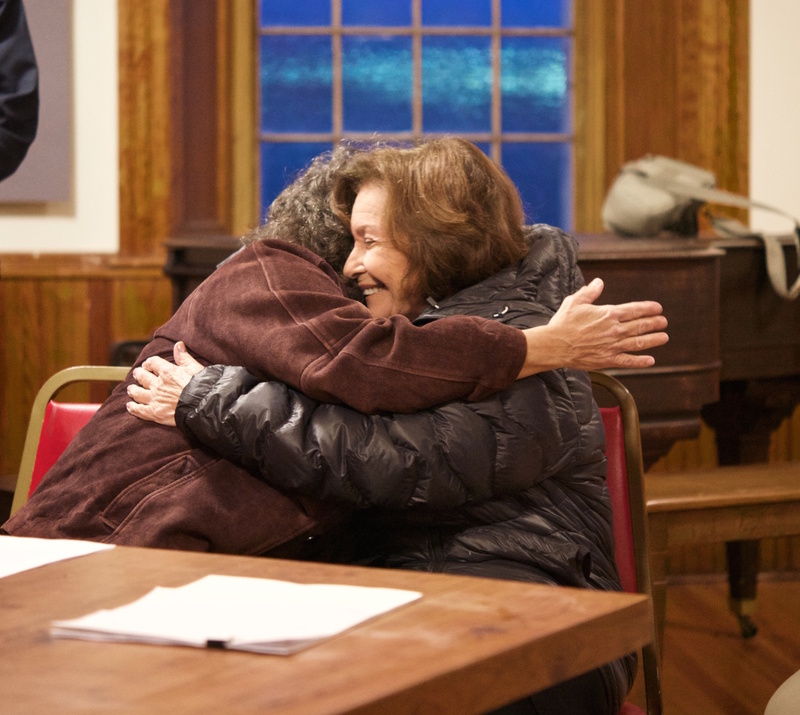 Today, as we gift this building to the Preservation Trust of Vermont, I continue to love the building not just for its beauty, character, and what it meant to me personally, but for its great potential and it is our hope that this infusion of new interest and energy will manifest as a place for sharing talents, interests, and wisdom with our neighbors…a true community center in the spirit of Vermont. 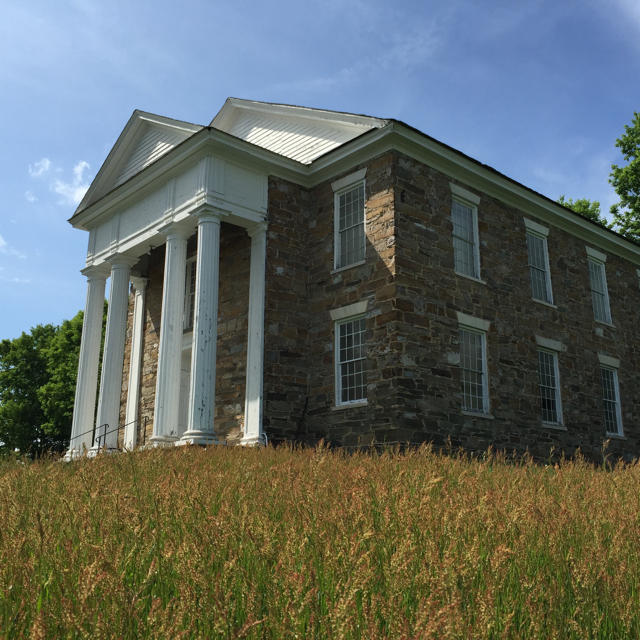 Even in 1822 the townspeople of Poultney could see what this building represented and the importance of having a special gathering place. 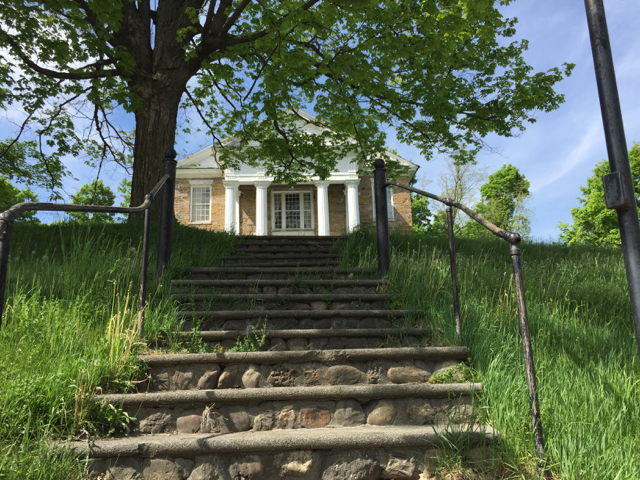 Time has not diminished its potential and we know that the Preservation Trust of Vermont and the Poultney community will be able to find and also create many treasures within its walls. By leaving it in the capable hands of the Preservation Trust of Vermont we think there will be an opportunity for fulfilling that potential. Thank you to Ina Smith Johnson of the Poultney Historical Society for providing me with information about the building's history, and to Paul Bruhn of the Preservation Trust of Vermont for gently shepherding this process.